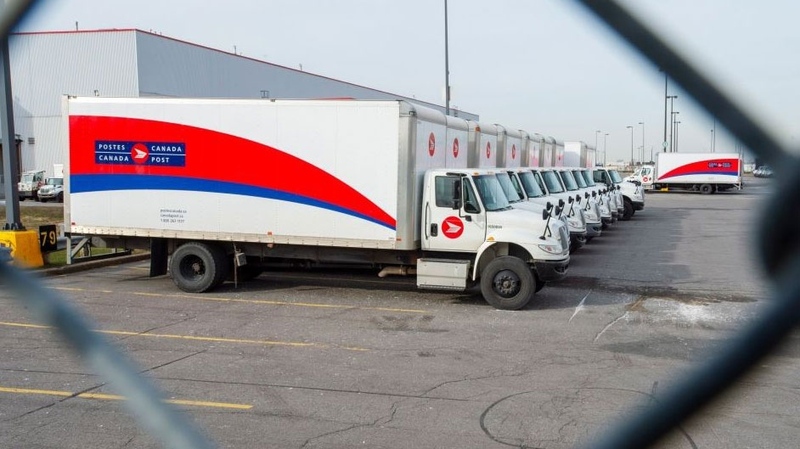 OTTAWA - Canada Post says a major snowstorm is making it too dangerous to deliver mail in much of Central and Eastern Canada. Quebec, New Brunswick, and Prince Edward Island are all having their mail cancelled Wednesday. So are Halifax and Dartmouth in Nova Scotia, and eastern Ontario, including Ottawa. Canada Post also issued yellow service alerts, meaning delivery is being slowed, for the rest of Ontario and Nova Scotia, plus Vancouver Island and Greater Vancouver. Thirty centimetres of snow or more have fallen on most of the eastern half of the country, from a storm that crept into Ontario Tuesday and has moved east. Snow has hit the West Coast, too, accumulating more slowly but just as deeply in falls that have gone on for days.